Spring Ephemerals – Dependent on Ants? Found throughout the eastern United States and Canada, spring ephemerals thrive on the floor of rich, undisturbed woodlands and can be quite beautiful. This verdant, moist environment is the ideal site for myrmecochory, seed dispersal by ants. The seeds of spring ephemerals bear fatty external appendages called eliaosomes. The insects, attracted to the elaiosomes, carry the booty back to their nests, where the lipid-rich food source is consumed by their young. The unharmed seeds are thrown into a midden, a rich, composting stew that stimulates germination. A single ant colony may collect as many as a thousand seeds over a season. While the volume is great, the distance is not; on average, a seed is carried just two meters from the parent plant. Because offspring remain so local (unlike plants dispersed by birds or wind), habitat fragmentation is a major threat to the survival of spring ephemerals. Once these plants are gone from the forest, it is rare that they return. To help you identify these plants and their characteristics, view AllStar’s primer below. 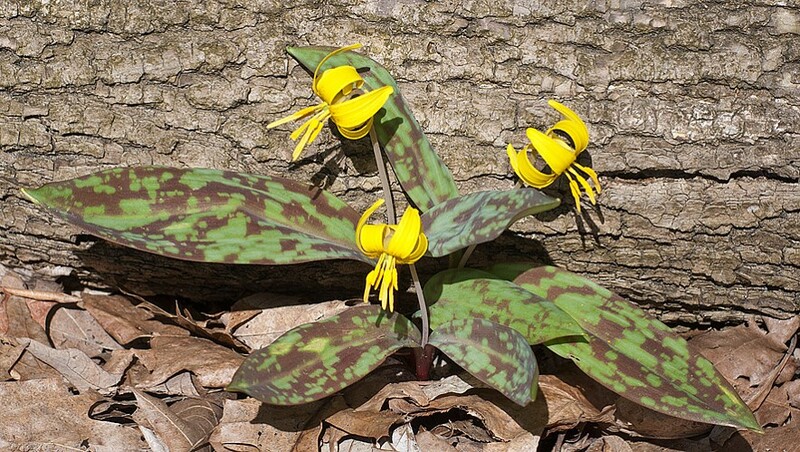 Allstar Ecology has four staff members qualified for botanical surveys in West Virginia. We conduct surveys for rare, threatened, and endangered plant species, state sensitive species, state species of special concern, and regional forester’s sensitive species. We have conducted surveys on a wide range of land use types, including US National Forest Service Land, State Parks, Wildlife Management Areas, and private lands throughout the Mid Atlantic Region. During a recent project, AllStar Botanists significantly increased the known population of Trifolium stoloniferum (running buffalo clover) in West Virginia, a federally endangered species. We have also located three new populations of Isotria medeoloides (small whorled pogonia), a federally threatened species. Our AllStar Botany team is diverse and thorough. We successfully see projects through from start to finish including agency coordination, field work, maps, reports and agency submittal and ultimately project clearance. Learn more about our botany services by clicking here or contact us with questions or for additional information. Dylan grew up in WV and has enjoyed finding and identifying plants since childhood. After college, he worked for various employers in the Natural Resources field, including the University of MD, the Garrett County MD Extension Service, MD DNR, USFS, and, most recently, AllStar Ecology. During his six years at AllStar, he has conducted extensive botanical surveys on National Forests, State Forests, and private lands and successfully found and identified several federal and state listed plant species, as well as regional forester’s sensitive species on numerous projects. Author’s Training & Certifications: Qualified surveyor of running buffalo clover, Virginia spiraea, and small whorled pogonia. West Virginia’s unique natural areas provide a multitude of opportunities to experience a breathtaking array of native plants this spring. In addition to the aesthetic value they have in our lives, even the smallest flower is a vital link in the complex web of soil, trees and wildlife both big and small.